Unfortunately, this weather has been relentless and our guys have still been unable to get out there. 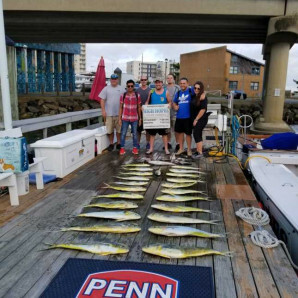 We are keeping our fingers crossed that we will get back to fishing soon and in the meantime, still have some of our guys fishing in the inlet for fun! Another windy day at the docks for our guys. We are hoping to finally get out there within the next few days so keep your fingers crossed! The Spot and Trout are still biting well in the inlet. Unfortunately, we had no boats fishing yesterday. We are hoping we will have some guys out this week willing the weather works in our favor. 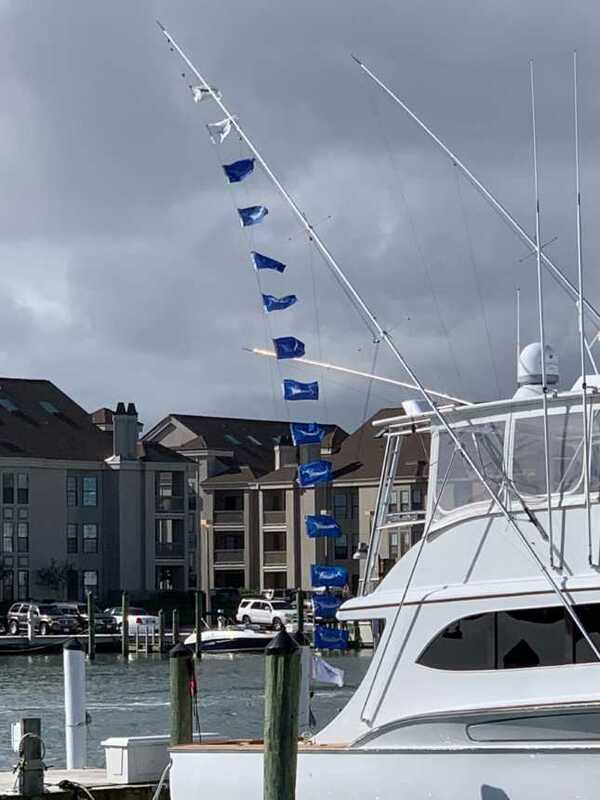 In the meantime, a lot of our captains and mates have been spending some time fishing in Rudee Inlet where the Spot and Trout bite has been hot! It is not too late to get a trip booked so give us a call today if you’re looking to get on the water this fall! Looks like things have calmed down after the storm! Yesterday two of our boats, the Capt. Cheryl and Wave Runner, fished offshore and both had great days! The Capt. Cheryl came back with quite a meat haul of Dolphin, Tilefish, and Seabass. 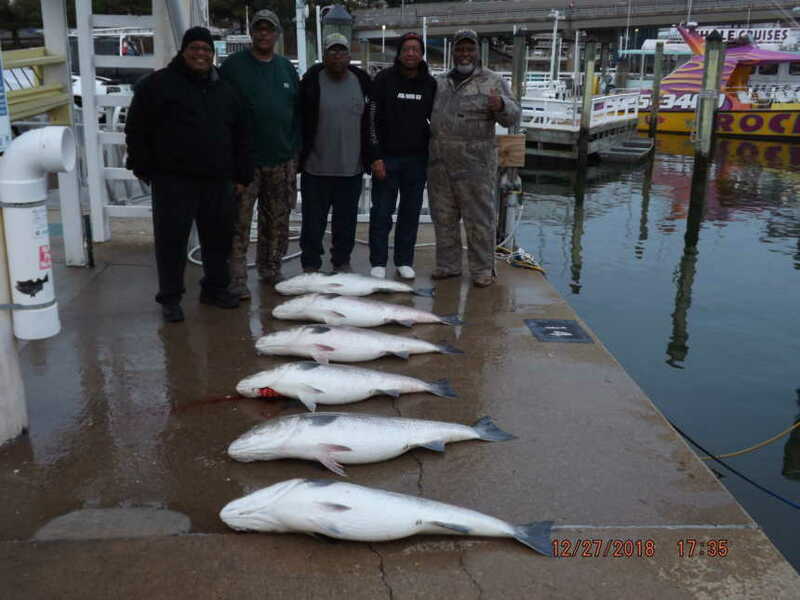 The Wave Runner fished a “fun” trip offshore and returned back with Seabass, Tilefish, and a 42# Snowy Grouper! We finally had some boats back out fishing yesterday! Inshore they caught some nice Spanish Mackerel and False Albacore. Unfortunately offshore the water was still a bit churned-up from the storm, there are some boats back out fishing offshore today hopefully the seas have calmed down a bit! There were headboats fishing yesterday that came back with a nice haul of Seabass, a couple Flounder, and some Triggerfish! We don’t have any boats from our charter fleet fishing today, and with Hurricane Michael making landfall it looks like our boats will be spending a few days at the docks waiting for calmer seas! 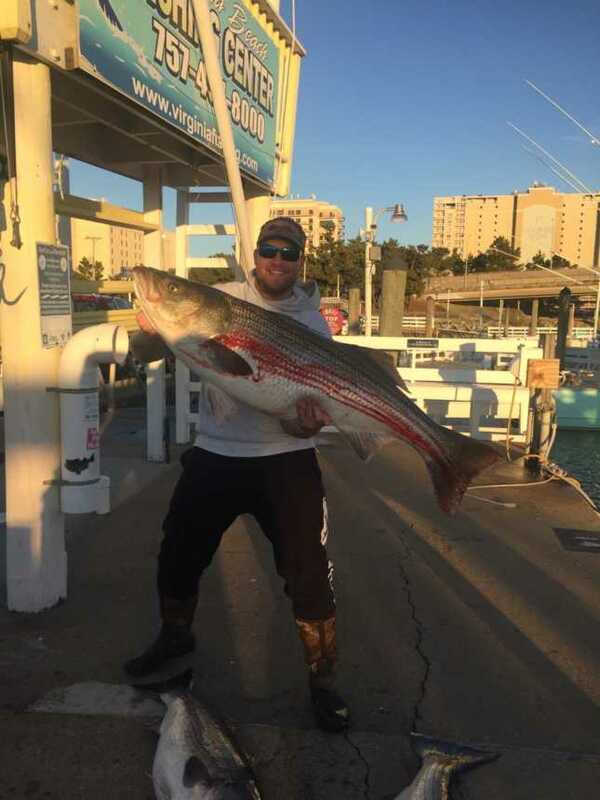 We will keep you updated as soon as any boats begin fishing out of Rudee Inlet again with fishing reports! Stay dry it looks like it’ll be a rainy few days! Unfortunately, we did not have any boats fishing today from our charter fleet. However, we did have some private boats out who brought back some good numbers of Marlin from offshore! 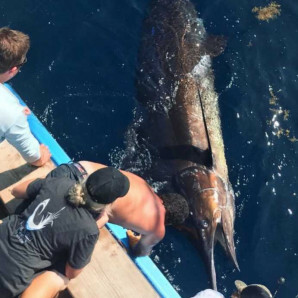 Yesterday the Poor Girl, one of our private boats, came back in with a Grand Slam;1 Blue Marlin, 12 White Marlin, and 1 Sailfish!! 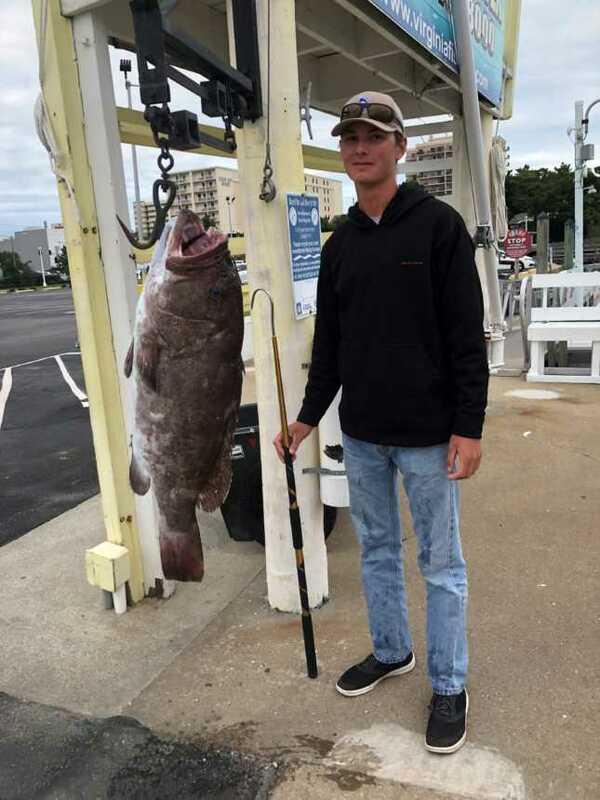 The fishing is still great inshore and offshore so don’t hesitate on calling us to get in a trip before things slow down! Unfortunately, all of our boats are at the dock today. 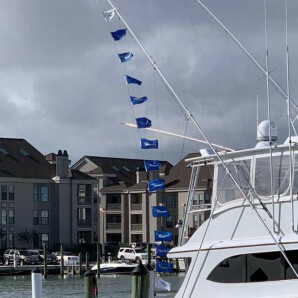 Fishing is still hot- especially offshore with boats still rolling in with tons of flags flying! Inshore they have been crushing the King Mackerel with loads of citations coming across our desks. 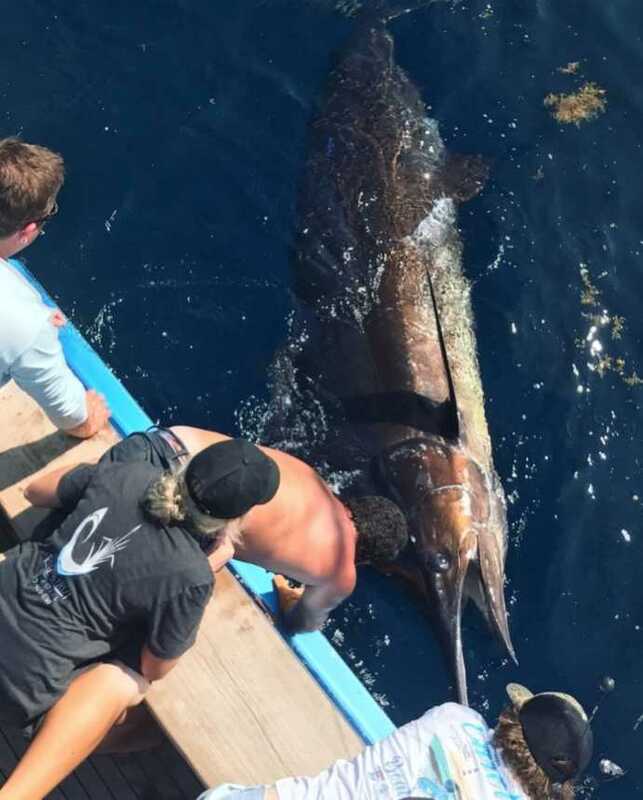 Two of our managers got lucky enough to head out on a fun trip the other day with some of the guys and came in with 4 White Marlin releases and a once in a lifetime Blue Marlin release! If you aren’t sure about October weather- check the pictures and think again. Can’t beat catching a White Marlin with that October sunrise and then topping it off with a monster Blue Marlin! Today, October 8 we had the High Hopes fishing offshore. They returned back to the docks with an awesome meat haul consisting of tons of Dolphin and a few really nice Seabass! 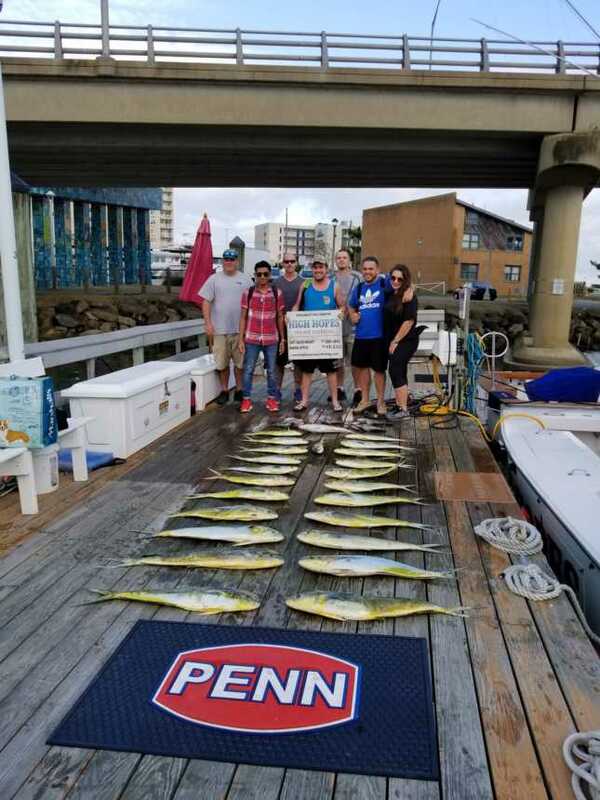 The fishing is still incredible inshore and offshore so don’t hesitate on calling us to get in a trip before things slow down! Unfortunately, we did not have any boats fishing today from our charter fleet. However, we did have some private boats out who brought back some good numbers of Marlin from offshore! 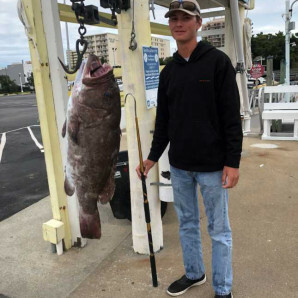 Copyright © 2015 Virginia Beach Fishing Center. All Rights Reserved | Website by Outer Banks Internet, Inc.